Crisis-hit Jet Airways Wednesday said State Bank of India along with other lenders and stakeholders is working on a comprehensive resolution plan to turnaround the airline. The full service carrier, which has been grappling with financial woes, defaulted on loan repayment to a consortium of Indian banks led by State Bank of India (SBI) on December 31, 2018. In a statement, the airline said a resolution plan that contemplates various options, including proportion of equity infusion by various stakeholders and the consequent change in the company's board, is being worked out. 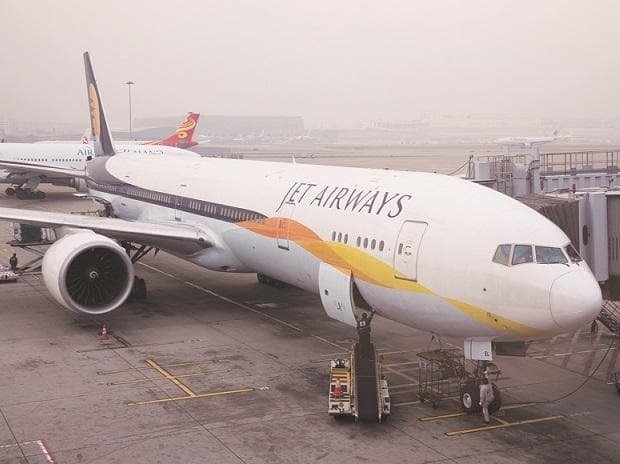 "SBI in consultation with the other members of the consortium and the other stakeholders has been working on a comprehensive resolution plan towards a turnaround of the company for its sustained growth and restoration of financial health," Jet Airways said.